Ooredoo Q.S.C., together with its subsidiaries, provides fixed and mobile telecommunications services. It operates in six segments: Ooredoo Qatar, Asiacell, Wataniya, Indosat, Nawras, and Others. The company offers domestic and international telecommunication services in Qatar; mobile telecommunication services in Iraq; and mobile telephone and pager systems and services in Kuwait, and the other parts of the Middle East and North African region. It also provides telecommunication services, such as cellular services, fixed telecommunications, multimedia, data communication, and Internet services in Indonesia; and mobile and fixed telecommunication services in Oman. 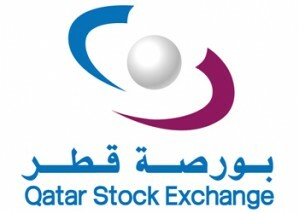 The company was formerly known as Qatar Telecom (Qtel) Q.S.C. and changed its name to Ooredoo Q.S.C. in June 2013. Ooredoo Q.S.C. was founded in 1987 and is headquartered in Doha, Qatar.